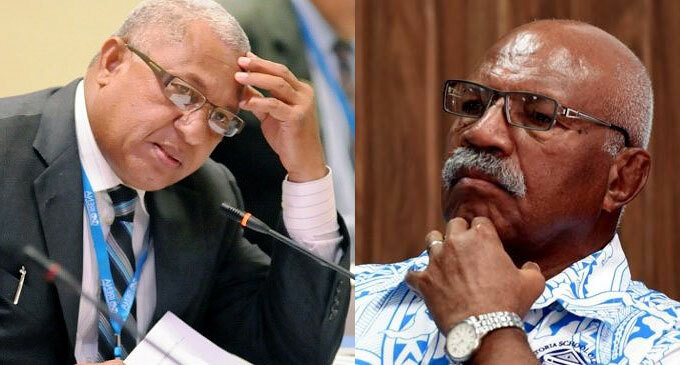 Prime Minister and FijiFirst Leader Voreqe Bainimarama has rubbished rumors being spread by SODELPA leader Sitiveni Rabuka that the current government’s leadership is sinking. Bainimarama says he received a report yesterday that Rabuka has been telling the public that the current leader is about to sink while comparing it to a vessel that ran aground a few years ago. However, Bainimarama says this are all lies and Fijians must not believe this as the country is in a better state compared to what it was year’s ago. Bainimarama claims Rabuka has been telling Fijians that he will save the country and its people from the damages that have been caused by the FijiFirst government. The FijiFirst leader is calling on Fijians not to listen to lies spread by a snake claiming that if Rabuka does take over the reins, he will take the country to ruins as proven by his leadership when he was the former Prime Minister in the SVT government. Bainimarama also claims Rabuka caused racial differences under his leadership until he stepped in to save the country from 2006.